Blue icebergs floating along the coast of Newfoundland -this iceberg stranded in the Notre Dame Bay. An iceberg in Notre Dame Bay which is approximately 15,000 years old in Newfoundland, Canada. 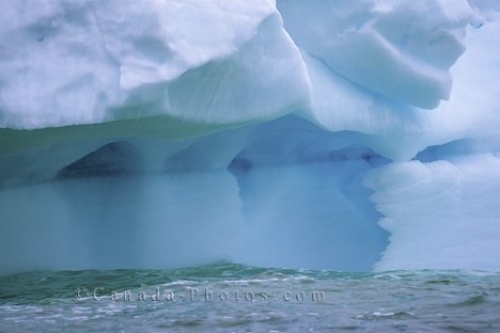 Please check out our photo gallery for all our Newfoundland icebergs. Photo of the blue ice belonging to an iceberg in the Notre Dame Bay close to Twillingate in Canada.